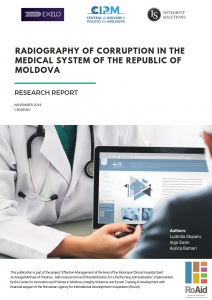 This research report aims to identify the patients' perception regarding the quality of medical services provided by Moldovan hospitals as well as their perceived level of corruption regarding the entire medical system of the Republic of Moldova. In order to have an accurate image, the research team has analyzed also the opinion of the medical staff from the Republic of Moldova on the challenges they face in the exercise of their attributions as well as their vulnerabilities to various risks associated with corruption. Moreover, the study highlights the need to implement more ambitious anti-corruption policies by transposing ISO standards on quality management and anticorruption. 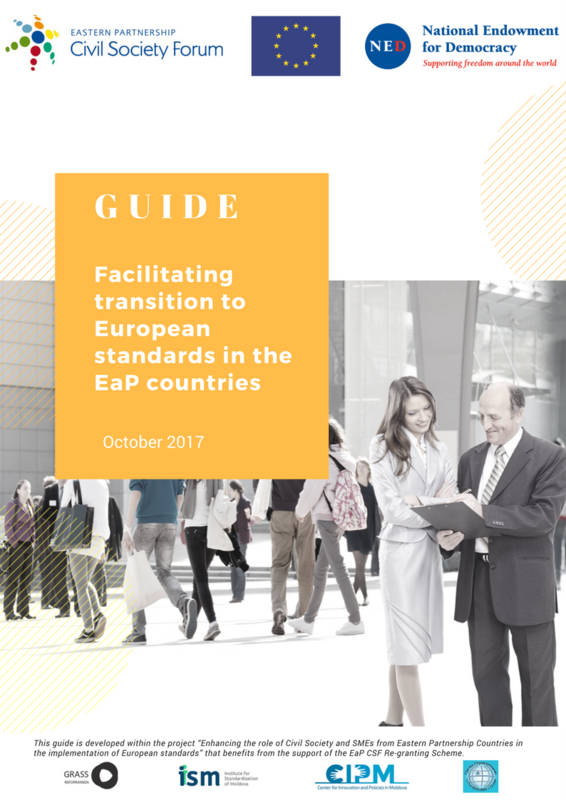 The purpose of the guide "Facilitating transition to European standards in the EaP countries" is to provide useful recommendations that will facilitate implementation of European standards in Eastern Partnership countries, especially in Moldova, Georgia and Ukraine, and will contribute to implementation of the European integration agenda by these three countries. 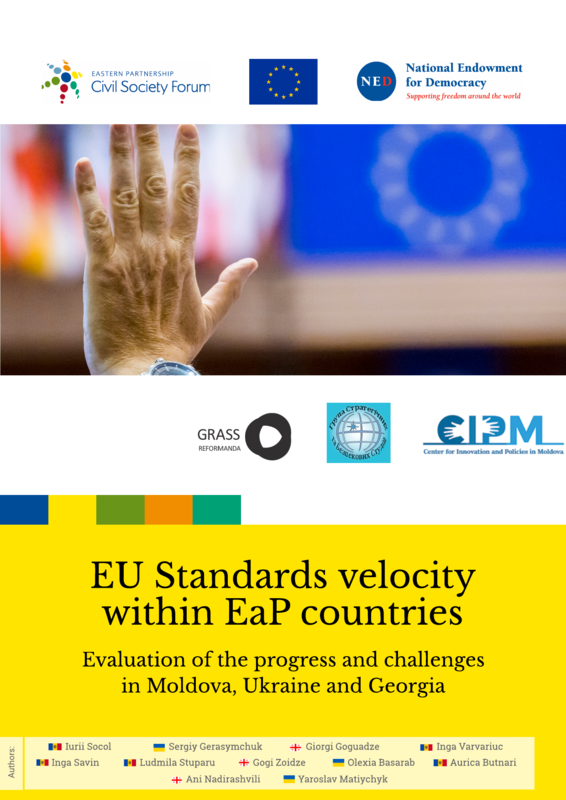 The comparative study "EU standards velocity within EaP countries. Evaluation of the progress and challenges in Moldova, Ukraine and Georgia" approaches in a comparative view the challenges and opportunities of the standardization process in three Eastern Partnership countries – Georgia, the Republic of Moldova and Ukraine- and outlines the basic trends and dynamics. It focuses on the transition from Soviet (GOSTs) to European/International standards and analyses the obstacles associated with this process. The paper seeks to figure out how the signing of the Association Agreements between the EU and the three EaP countries have contributed to the implementation of European standards in these countries and discusses practical examples in construction, agro-food and energy efficiency sector in support. Through its development and cooperation policy, the European Union (EU) has committed to becoming a global promoter of human rights. Since its inception, the EU has begun considerable efforts to incorporate the principles of respect for fundamental human rights and freedoms, as well as the values of democracy and the rule of law, both in foreign policy and in the European Union's development cooperation policy.